Liverpool reached the Champions League final last term, but ultimately went on to lose 3-1 to Real Madrid in that showpiece clash in Kiev. 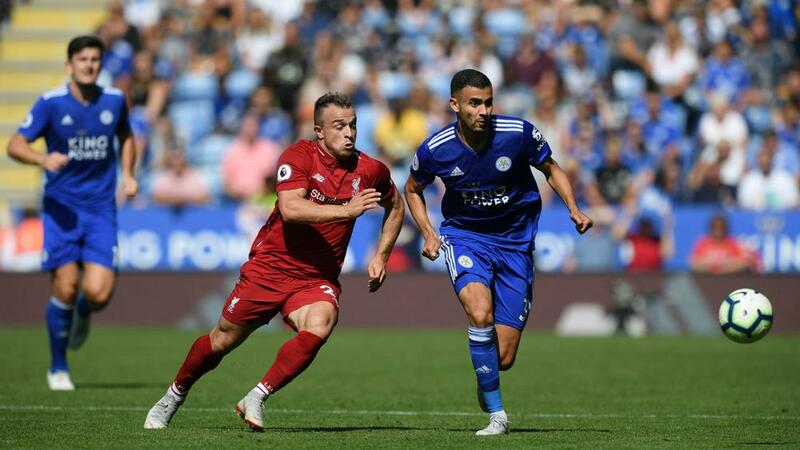 It was their third defeat in a final since Jurgen Klopp took charge in 2015, after the Reds lost out in both the Europa League and EFL Cup in 2015-16. Liverpool's League Cup triumph in 2012 remains their most recent trophy of any kind. Although for many last term went down as an impressive one, as Liverpool produced some stunning football and Mohamed Salah broke records, they only managed to secure a fourth-placed finish on the final day of the Premier League campaign, finishing six points behind Manchester United and 25 adrift of champions Manchester City. And Shaqiri, who joined from relegated Stoke City in pre-season, feels Liverpool are missing the mentality Bayern have. "Liverpool need to have the goal to play for titles," the former Bayern winger told reporters ahead of Saturday's clash with Tottenham. "We are a big team - big teams have to have the goal to win titles. "It's difficult in the Premier League, because you have a lot of big teams, so competition is there. You need to have a really, really good season to compete. "At Bayern they only have the mentality of winning titles. Liverpool are one of the biggest teams in the world. "Last year they had a very good year. Sadly, they didn't win a title, but now we try to make a step forward and win honours. That's the most important goal now. To win titles. "We need to keep working hard. We are still a young team. Every player wants to go forward and try to be better and to help this big club to be successful. "To be successful you need to play for titles. That has to be our aim."